Anxiety can be an overwhelming part of your life. Anxiety counseling can make your life much more manageable and satisfying. Does​ ​anxiety​ ​rule​ ​your​ ​life? Do your nerves ruin your presentations? Are you nervous in social situations? Do you worry about your partner, your child, your family? Do you assume the worst when the unexpected happens? Is it hard to fall asleep at night because of your worrying? Do friends and family describe you as a worrier? Does the fast pace of New York City life make you anxious? Are you self-medicating your anxiety with alcohol and/or drugs? The future of the planet? If these worries occupy your mind, you’re not not being as productive as possible—and you sure aren’t having a good time! But​ ​isn’t​ ​anxiety​ ​a​ ​normal​ ​part​ ​of​ ​life? Anxiety is on a continuum: from a low-level chronic “background noise” of worry, to a full-blown panic attack—and everything in between! 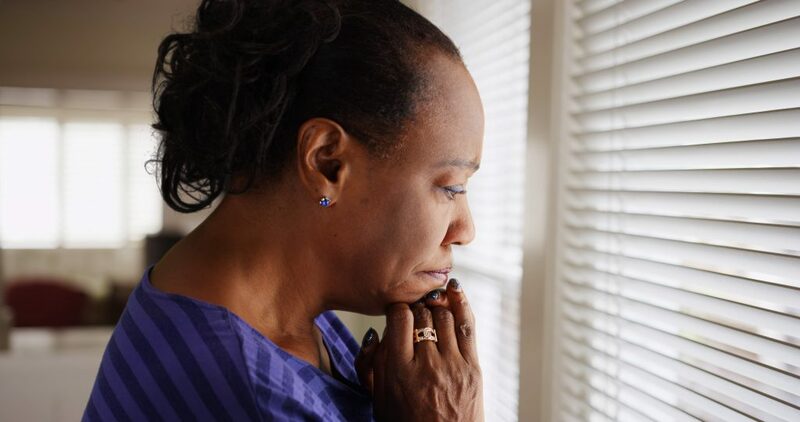 Everyone has experienced anxiety at one time or another, and diagnosable anxiety disorders occur in anywhere from 1.5% to 18.1% of people between the ages of 18 to 54, according to estimates. Does one of these descriptions fit you? You lie awake worrying about upcoming events in your life. You worry about your child’s health, future happiness, academic performance. You get anxious in social situations, so avoid parties and social events. present or to do public speaking. When you enter a restaurant, you worry that everyone’s watching you. had, or that your didn’t pack for a business trip you’re going on. You feel you must succeed in a big way, to live up to certain expectations, reminding yourself that “…if you can make it here, you’ll make it anywhere…” You compare yourself to others, then feel you have to catch up to or pass the people you admire. Or you’ve done well, even by NYC standards, and you’ve upped your anxiety by pressuring yourself to live up to or surpass your most recent accomplishment. In our culture, a frequent first question is “What do you do?’ or whether you’re in a relationship or are a parent. If those are areas of insecurity for you and you depend on other people’s opinions of you for your self-esteem, you may become anxious when these questions come up, so it’s not longer a conversation—it’s a test of your magnificence. And that’s not fun! If your parents were anxious, you may wonder whether you inherited your anxiety or whether you learned it. That’s something we can explore together. Is worrying an ongoing part of your life? If you knew everything would be okay, would you be able to stop worrying? Good question that begs exploration. Do​ ​you​ ​need​ ​anxiety​ ​treatment? If anxiety is a chronic background noise in your life, why wouldn’t you get help? And panic attacks are a signal that you need treatment. And if your anxiety is somewhere in between these two points on the “anxiety continuum,” you can benefit from anxiety treatment. If you’re worrying about the future of the planet or whether your future child will get into a top-tier school, treatment will help. Working to improve the state of the world, through donating money and volunteering to causes you believe in is not a problem in the least. Worrying, instead of taking action, is the problem. If you tend to think the worst in a given situation, anxiety is stealing the pleasure from your life, because you’re not thinking properly. Your thinking should help you enjoy your life, not tie you in knots! If some variation on these themes fits you, treatment can help! I establish a warm, accepting environment for you to feel comfortable and not judged, as we explore the root causes of your anxiety. I’ll help you understand the origins of your anxiety and how to calm yourself. You’ll learn to see the first signs of your anxiety, so you can begin to short circuit it, learn your own specific anxiety “work-arounds,” and think your way to a calm and effective mental state. My approach is geared to you, and how you reached this point in life. We deal with your past as it relates to your present-day life, which helps you build a more satisfying life today and moving forward. Compassion without a theoretical structure has no lasting impact. Feels good, but the progress is severely limited. Theory without the heart of compassion raises your anxiety, because it’s a cold stance. That’s the stereotypical “Yes….” and “How did that make you feel?” that you can do yourself with your mirror! It’s not relating and it’s just not helpful. You can learn to live your life without anxiety running the show, just like so many people I’ve treated since 1985. Anxiety can make you feel lonely, but you won’t be alone in treatment. I have a warm approach that will be a comfort as we work together to help you feel better and live more fully. It’s important to recognize your need for professional help—and to get it! It’s the first step toward feeling better and making a truly satisfying life. Wouldn’t you like to feel better? Doesn’t​ ​it​ ​cost​ ​a​ ​lot? advancement; and your overall health. Why not invest in yourself for yourself by getting effective treatment for your anxiety? Your family, friends, and colleagues will all benefit from the new and improved you: the one who’s more productive, relaxed and a joy to spend time with. How​ ​long​ ​does​ ​it​ ​take? Getting to the roots of your anxiety and dealing with how it plays out in your everyday life isn’t a quick process. But if you work hard with me in your treatment, you—like the many other people I’ve treated—will improve all the way around. Everyone’s different! Some people see changes fairly soon, but to fully grasp the effects of anxiety in your life and to apply the things you will learn in treatment doesn’t happen overnight. There are no shortcuts! You didn’t just wake up anxious one day, right? Is​ ​medication​ ​part​ ​of​ ​treatment? Many people just do talk therapy and don’t need medication. Some people benefit from a combination of talk therapy and medication for a period of time. For those who need medication, studies show that the combination of medication and talk therapy is more effective than just medication. Together we’ll decide what makes the most sense for you, and if we add medication to your treatment, I’ll refer you to a psychiatrist or nurse practitioner who will prescribe medication and monitor the medical part. I’ll continue doing talk therapy with you. Important:​ ​The​ ​patient​ ​described​ ​below​ ​is​ ​a​ ​composite​ ​character.​ ​I​ ​will​ ​never​ ​use​ ​actual session​ ​material​ ​from​ ​patients​ ​on​ ​my​ ​website.​ ​Testimonials,​ ​however,​ ​are​ ​from​ ​actual patients. her, and she considered quitting her job. opportunity, her mother was shaky and unintentionally taught her that the world is a scary place and that no one would be there for her. These were the dots that I connected mentally from the fragments Marla told me, which allowed me to understand the origins of Marla’s anxiety. Marla saw her mother as her best friend and talked with her numerous times every day, so this theoretical concept of the root of Marla’s anxiety was something that had to be handled delicately over time. If Marla became threatened by my talking too much and too soon about her mother, I wouldn’t be able to help her because she’d leave treatment prematurely. My work with Marla demonstrates the care that I bring to treatment with each patient. I gauge each patient’s fragility and resilience overall and moment to moment in each session to determine the correct timing and “dose” of each interpretation that I make. In the meantime, I taught Marla to recognize when her thoughts were starting to “spin out,” when her anxiety began to overtake her logic, and helped her reality test her thoughts. Marla began to see that just because she had decided that a fellow passenger on a subway was a terrorist didn’t mean that the person actually was a terrorist. Many times she caught herself “profiling” someone because of the racial prejudice she had learned growing up. She progressed to the point of being able to laugh when I’d ask her how many subways she had ridden in that had been attacked, how many buildings she had been in when they exploded, how many planes she had been in that crashed, not to say that those things could never happen, but to show her that the statistics were against these possibilities happening to her. As she learned to combat her wild thinking through logic and started to see improvement in her daily functioning, she started trusting me more, and I was able to help her take a look at the origins of her shakiness. By going slowly and carefully and providing plenty of warmth along the way, I helped Marla start to let down her guard and think about the effects of her mother’s shakiness on her, to understand what she had learned. She was able to preserve her relationship with her mother, to see her mother as someone who did her best, who unknowingly “infected” Marla with her own shakiness and anxiety. Today Marla rides all forms of transportation comfortably, and is able to control her thoughts and think her way through to peace of mind. She’s no longer so concerned with what other people think of her, and she’s enjoying her life much more. “My therapy journey began with Nancy when I first got into college. Suffering from mysterious anxiety and questions of self worth in a new environment, I was convinced to give therapy a try. Nancy is versatile and experienced, with an aura of confidence and a calming presence that helped me realize that there was a way to deal with the anxiety that did not involve distraction or deflection or dependence on external validation. Nancy was able to tell right away that an incisive, no-nonsense demeanor would be perfect for me, however she knows how to be warm when needed. Anxiety​ ​doesn’t​ ​have​ ​to​ ​run​ ​your​ ​life! background—or foreground—noise of anxiety. Doesn’t that feel better?! If you’re a parent who suffers from anxiety, being in treatment is one of the best gifts you can give your child, because you can model a calm, optimistic, problem-solving orientation to life. If you’re leading with your anxiety, you’re not enjoying your life. I can help, as I have with so many people since I started my practice in 1985.